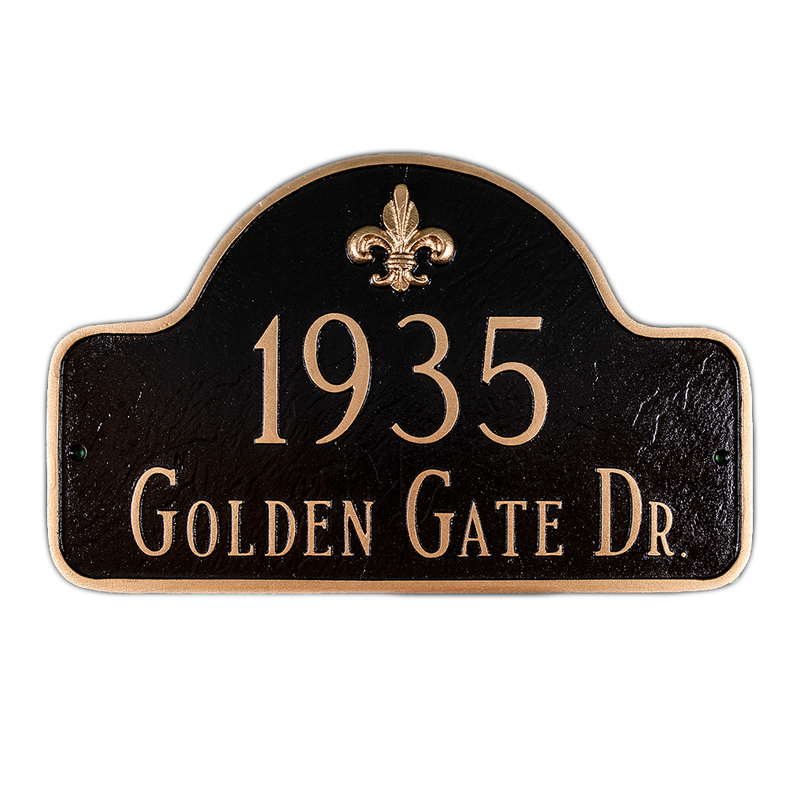 Our Fleur de List Decorative Arch Plaque is a stunning welcome to your home or business - a beautiful decorative arch plaque hand crafted in rustproof aluminum. 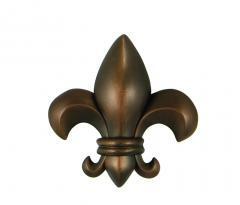 This Fleur de Lis detail in this sign is is beautiful and certainly adds to your entry decor. It measures 10" x 15 3/4" and holds up to five 3" numbers with up to seventeen characters on line two. It can be purchased as a wall plaque or with lawn stakes.